Charming and move-in ready all brick home in a perfect, peaceful setting at the end of a cul-de-sac in Carriage Downs. There are so many upgrades/updates including new quartz countertops that look like marble and high-end stainless appliances in the kitchen, newer (2013) windows, remodeled hall bathroom, plantation shutters, recessed lighting, wooden doors, crown moulding, and wood flooring. The spacious master bedroom boasts a cathedral ceiling and master bath with a large walk-in shower, as well as a separate tub and dual sinks. Outside, there is a wonderful, new, two-tiered, lighted patio overlooking the private backyard, new gutters, and an irrigation system that runs on a well. 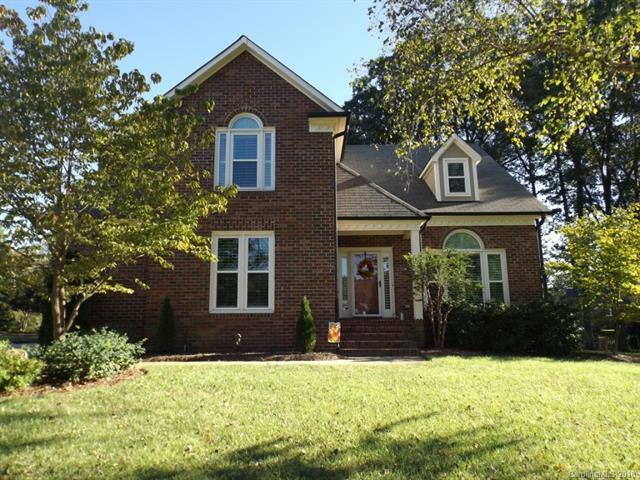 Sold by Keller Williams Concord/Kannapolis.